The New World Of Firefighting: Politics, Climate And Humans : The Two-Way Writer and photojournalist Michael Kodas says forest management, climate change and growing population complicate fire fighting. An aerial tanker drops fire retardant on a wildfire threatening homes near Yarnell, Ariz., on July 1. An elite crew of firefighters was overtaken by the out-of-control blaze on June 30, killing 19 members as they tried to protect themselves from the flames under fire-resistant shields. Writer and photojournalist Michael Kodas has been documenting firefighting and firefighters for more than a decade. His current book project, Megafire, an examination of the new world faced by firefighters, will be released in 2014. Kodas, also the author of High Crimes: The Fate of Everest in an Age of Greed, lives in Boulder, Colo. He traveled to Arizona after 19 elite Granite Mountain Hotshots firefighters from Prescott died June 30 battling a lightning-sparked wildfire in nearby Yarnell. You have said that the Yarnell Hill tragedy is a case study in three overarching themes driving the global increase in wildfire. But before we get to that, could you briefly characterize and quantify this "global increase" you're talking about? "The United States is not the only nation that's experienced a surge of wildfire. A day before the tragedy in Arizona, I returned from Greece, which has also had a huge increase in wildfire in recent decades. Israel, Australia, Russia, Spain and Portugal have also had a big increase in fires, and scientists predict even more as the climate in many parts of the globe dries and warms. "It becomes a global issue because many nations are so overwhelmed when large fires break out that they require assistance from other countries. Israel, for instance, required aid from 10 other nations to fight the fire on Mount Carmel in 2010. 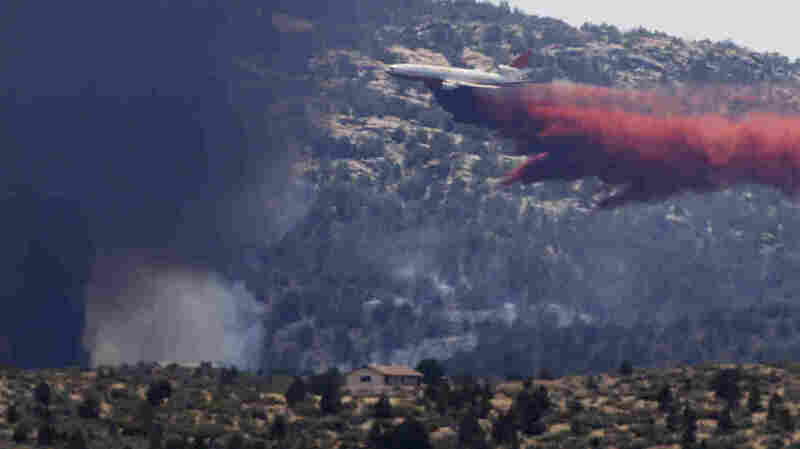 The United States often sends aid in the form of air power, firefighters, retardant or other equipment and supplies to other nations facing extreme wildfires." Now, let's get to the drivers of this worldwide situation that Arizona illustrated in such a deadly way. What are they, and how did they develop? "The overarching theme here is that Arizona is a virtual case study in the three overarching themes that are driving the global increase in wildfire. Poor forest management — in Arizona's case, putting out way too many natural fires, resulting in a huge buildup of fuel in the forest. Climate — a recent report shows Arizona warming and drying faster than any other U.S. state. And reckless development — a big migration of population to Arizona has led to rapid expansion of what firefighters call the 'wildland and urban interface.' "
Could you give us a brief example of that interface, how it plays out in a typical scenario? "The wildland and urban interface, or WUI, is basically where homes and development abut flammable, wild landscapes. In the Western United States, it has expanded rapidly in recent years as mountain living has become more popular. Last year, with I-News, a Colorado investigative news operation, I worked on a story where we overlaid census data with the state's 'red zone' map, which identifies the most flammable forests in the states. That analysis showed more than 100,000 people moving into the most dangerous forests in the state between 2000 and 2010. In Colorado today, one in five people live in a home that's at risk of burning in a wildfire." How has that added fuel to the fire, so to speak? "That increase in population adds new fire fuels in the form of homes, cars, woodpiles and propane tanks. More significantly, the population boom in the forest brings an exponential increase in sparks that can start fires. Power lines put in to serve rural communities arc or get knocked down. Vehicles and machinery send sparks into the woods. Even sportsmen shooting guns and golfers hitting stones with their clubs have created sparks that started fires. "Finally, the increase in homes in the woods makes a wildland firefighter's job far more complicated and dangerous. Wildland firefighters don't have the heavy protective coat and pants or oxygen equipment of their urban counterparts because that gear is too heavy to allow them to move quickly through the woods. They only wear those green and yellow fire retardant clothes, and are usually only armed with a shovel, ax or chainsaw. But when they are faced with a home threatened in the woods, they're still going to try and save it." How have these drivers and the wild-urban interface affected the types of fires, including magnitude, we've been experiencing? "We're seeing the results of these drivers throughout the West. Colorado, for instance, has broken its 'most destructive' fire record four times in the last four years. A dozen U.S. states, some even in the East, have had their largest wildfires in history in the last decade. Consequently, firefighting has gone from taking about 13 percent of the Forest Service budget in the early '90s to nearly half today, and the cost of fighting wildfires has gone up tenfold since the '80s." Where are they getting the money to fight these fires? "In recent years, the U.S. has cut its fire budget, but the fires still get fought, meaning the money to fight them has to come from somewhere else, usually from programs intended to correct the above problems like treatments to improve forest health and thinning out overgrown landscapes, and others intended to make communities more resilient to wildfires." You have written that a "fire industrial complex" is pushing firefighting policies that you conclude could be ecologically disastrous — what you describe as a "snuff it out" strategy, rather than the "let it burn" policy of the past two decades. Bottom line, what are the best arguments on both sides? "The United States was very good at putting out fires for the better part of a century, but that allowed a lot of fuel — dead timber, unhealthy trees, scrub and grass — to build up in forests. For nearly two decades, land managers have tried to let fires in remote woodlands with little private property or infrastructure at risk burn to reduce those hazardous fuel loads and bring the return of a more natural fire cycle. In some places, like the Gila Wilderness in New Mexico and Bob Marshall Wilderness in Montana, those policies have proven effective. More recent fires that have broken out tend to self-regulate, becoming less intense or dying out altogether when they encounter forests where previous fires were allowed to burn. "Last year the U.S. Forest Service backed off 'let it burn' policies and pressed firefighting officials to fight almost every fire. It's a bit counterintuitive, but the primary reason is that it's cheaper to fight every fire when it's small than to risk the incredible costs that come with a fire that blows up big, threatens communities, and consequently requires hundreds or thousands of firefighters, multiple aircraft, and the almost military effort that goes into fighting what's known as a 'project fire.' "
Is there a profit motive in fighting fires a certain way? "There's a lot of money in firefighting. According to Headwaters Economics, a Montana think tank, in the 1990s the average cost to the federal government of preventing, preparing for and fighting wildfires was less than $1 billion a year. In the last 10 years, that average surpassed $3 billion a year. Around half of that money goes to the private sector for aircraft, mobile catering facilities and laundries for fire camps, private fire crews, bulldozers and the like. "Like any good business person, people in the firefighting industry lobby to fight as many fires as they can, even when putting a fire out may mean worse fires in the future or be harmful to the environment. Timber and grazing interests and developers all influence how, when and where we fight wildfires as well." This is a tougher question, but one that people who don't live in the wide open West and have no or little expertise in firefighting have been asking: Given existing conditions, the kind you've already been writing about, were these elite firefighters put in danger by superiors who should have known better? "The Granite Mountain Hotshots faced all of these drivers and were overrun by a fire blowing up in a way that nobody I've interviewed had ever seen before. Nobody I've spoken with has given any indication that supervisors' orders put them at peril, but the investigation has just started and will go on for months, so that will be an open question for some time. "On Thursday, officials acknowledged that the hotshots perished protecting the Glen Ilah subdivision. It's important to point out the Granite Mountain crew was the only hotshot team in the country that was part of an urban fire department. Most of them had grown up within about 30 miles of the community that was threatened. It's hard to imagine that a few of them didn't have friends or family in Yarnell, and that knowledge may have driven them to fight this fire with even more urgency and determination than they were already known for. Both government and fire officials have stated the hotshots saved the subdivision." Related: NPR's Fire Forecast app.